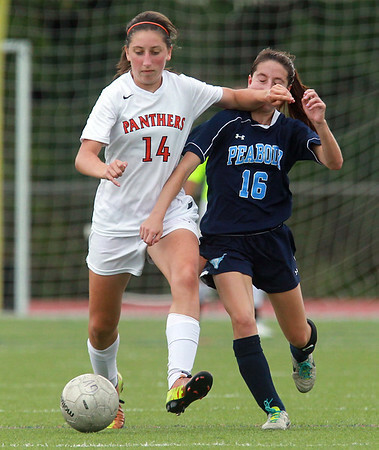 Beverly senior midfielder Meghan Berking (14) battles for position with Peabody senior captain Caroline Colbert (16) during the first half of play on Thursday afternoon. DAVID LE/Staff photo. 9/11/14.